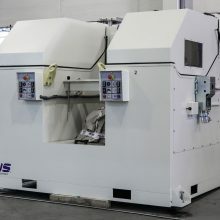 In-line wire finishing up to Ø25mm with maximum flexibility and consistency. 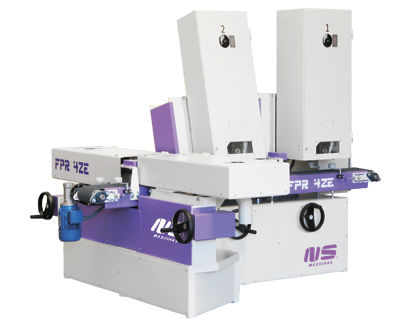 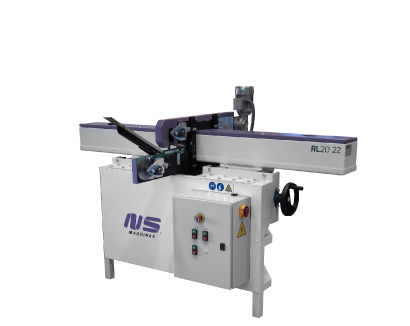 MLA25 2Z is a two abrasive belt stations machine which enables in-line finishing of wire. 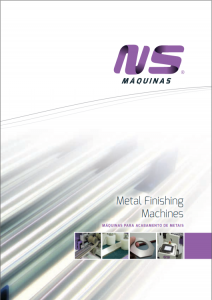 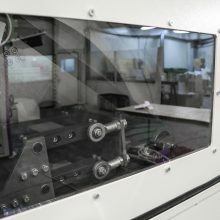 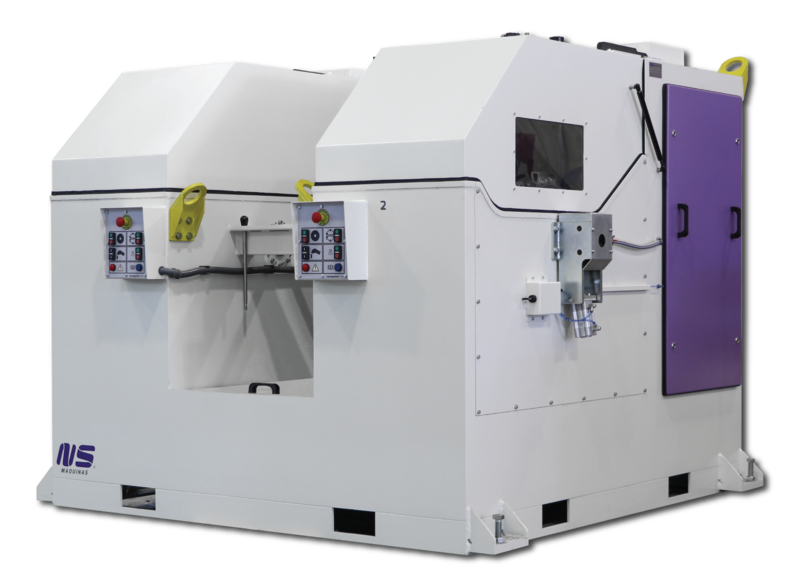 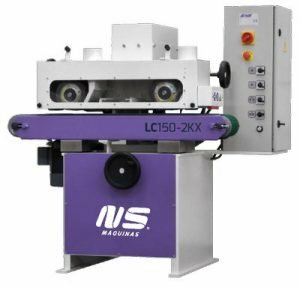 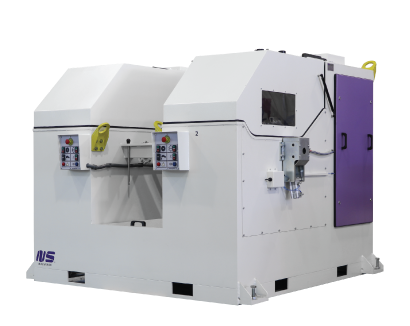 This wire grinding machine has the ML Planetary System which enables a perfect and linear finishing on all the surface of the wire directly from wire coils. 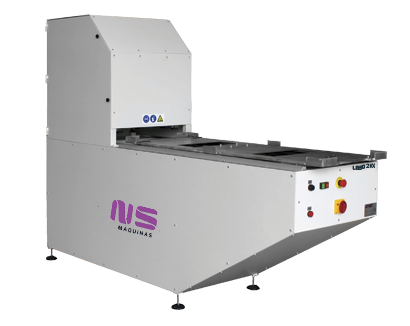 This machine can work directly from wire coils as well as being conected with breaking and bending descalers. 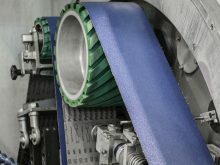 The ML Planetary System makes the abrasive belts rotate around the wire. 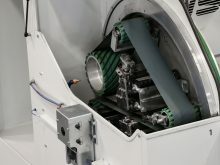 Since the belts embraces the wire, it reduces the vibration. 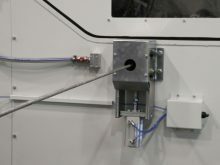 Reduces the temperature of the wires during the finishing operation. 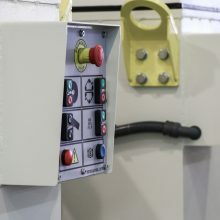 The water system enables a cleaner and dust free environment. 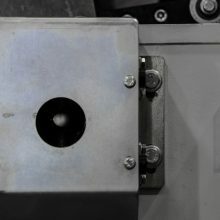 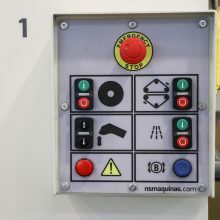 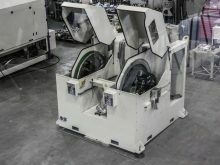 Tool free replacement system enables the exchange of the abrasive belts within less than two minutes.